The relationship between intimate partner violence (IPV) and HIV risk is well documented, but few interventions jointly address these problems. We developed and examined the feasibility of an intervention to reduce HIV risk behaviors among 97 women seeking services for IPV from a community-based NGO in Johannesburg, South Africa. Two versions of the intervention (a 6-session group and a 1-day workshop) were implemented, both focusing on HIV prevention strategies integrated with issues of gender and power imbalance. Attendance was excellent in both intervention groups. Assessments were conducted at baseline, post-intervention and two-month follow-up to demonstrate the feasibility of an intervention trial. 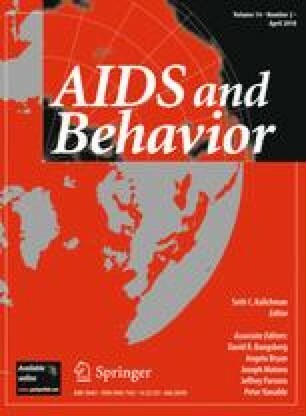 Women in both groups reported reductions in HIV misperceptions and trauma symptoms, and increases in HIV knowledge, risk reduction intentions, and condom use self-efficacy. The 6-session group showed greater improvements in HIV knowledge and decreases in HIV misperceptions in comparison to the 1-day workshop. The study demonstrated the feasibility and potential benefit of providing HIV prevention intervention to women seeking assistance for IPV. This research was supported by grants WAF 244 (01-016) (awarded to Kathleen Sikkema, Ph.D.) from the World AIDS Foundation, D43-TW05808 from the NIH Fogarty International Center, P30-MH62294 Center for Interdisciplinary Research on AIDS (CIRA), and P30-AI064518 (Duke Center for AIDS Research). The authors gratefully acknowledge our community collaboration with People Opposing Women Abuse (POWA) in Johannesburg.